The meeting with Barry, my editor, went very well this past Wednesday. I was shown around Dundurn’s cozy offices in the heart of the St. Lawrence neighbourhood, accessed by a charmingly small and old-fashioned elevator — not so old as to require a footman, mind, but still pretty old. It lent the whole office (which was very nicely refurbished) a rustic air. Anyway, we talked about Rosemary and Time. He liked the changes I made throughout the summer and said that the whole thing was now very well paced. Of course I’m happy with that. He’s just finished the first read-through, and will do a second read-through this week and next, and could have detailed editorial directives by this coming Friday, though he doesn’t anticipate there will be that many. He also showed me two candidate cover designs. As the Harry Potter fans say: squeeeeeeeeeeee! Dundurn has done an amazing job (as they so often do), although they’re not finished, yet. There are still changes they can make, and other candidates they can try. Unfortunately, I can’t display the covers for you here on this blog, because they make use of stock photographs, and Dundurn hasn’t gotten permission for their use, yet. Once that happens, I’ll show you what I can, here. 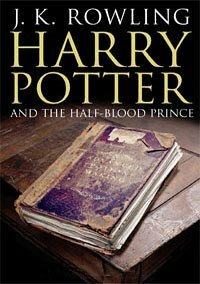 I can say that one of the covers takes the obvious but effective approach of having a ghost-like figure emerge from a book, while another recalls the neat appearance of the adult cover version of Harry Potter and the Half Blood Prince. They’re working on a third candidate that may feature zeppelins. And while I was there, Barry and I discussed the idea of retitling this book. I was not surprised to hear Barry raise this issue; it was something I wrestled with myself. When you think Rosemary and Time, you think of Rosemary (good) and you think of time travel. There is no time travel in this story. That’s the third book, which is ironically entitled The Young City. This title thing is going to have us in agony over the next couple of weeks; I know it. Rosemary and Time rolls off the tongue, and has been a part of this project since I first started it back in 2001. Barry and I both identify with it strongly. But it’s still misleading. And should we choose a correct title, the overwhelming majority of the new audience won’t even be aware of the old title, and won’t say “hey! Why’d you change it? I liked it!” Which has been the reaction of others I’ve told this to. We also gave some thought to Rosemary Read, but only if we could somehow guarantee that most people came upon this title and thought “Rosemary Red” as opposed to “Rosemary Reed”. Of the four, The Written Girl appeals to me the most. Barry likes both it and Stranger in Fiction. So, what do you think? Which do you prefer? Or perhaps there’s a title we haven’t even considered. You’ve all have read the synopsis by now. You have some idea of what the story is about. So what title speaks out to you? A couple of days ago, I spent a little money investing in some male-to-female USB cords for the office. We have a USB key which is better than a CD-R or a floppy disk for transferring files, but we really got sick of bending down to shove said USB key into the front of our computers (near the bottom). After enough backache, I got under our desks, installed the cords, and taped them to the top of the monitor screen. My co-workers are happy. No longer do they have to bend down to the floor; they simply stick the USB key into the slot taped to the top of the monitor. Any chance this will happen, and somebody won’t charge an arm and a leg for this?